Do you want to help people start and grow businesses? 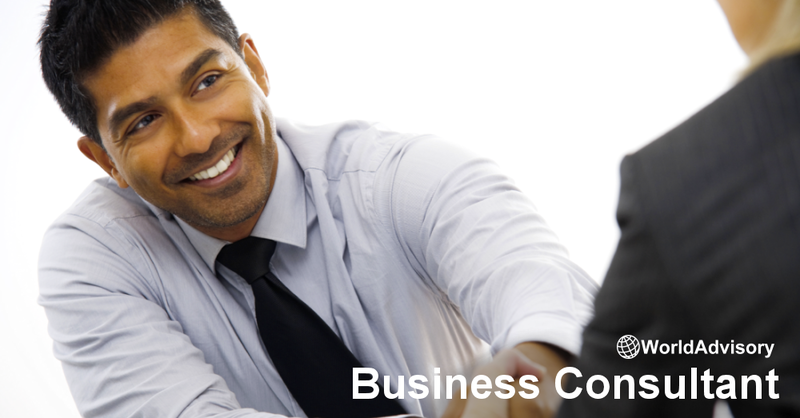 If so, you might be a perfect fit to serve as a Business Consultant of World Advisory. As a Business Consultant of World Advisory, you will be able to further your career, challenge yourself, gain useful experience, and make a big difference. In this position, you will work directly with our Clients to provide guidance and assistance in a variety of ways to help them achieve their goals. You will also represent World Advisory in your local community and be actively involved through our Small Business Networking Events, Partnerships and more. It’s our goal at World Advisory to make entrepreneurship more accessible to all individuals and make​ ​it​ ​easier​ ​for​ ​anyone​ ​to​ ​start​ ​and​ ​grow​ ​a​ ​business. Together, we can help people succeed and reach their full potential. To learn more and apply, please use through the form below.